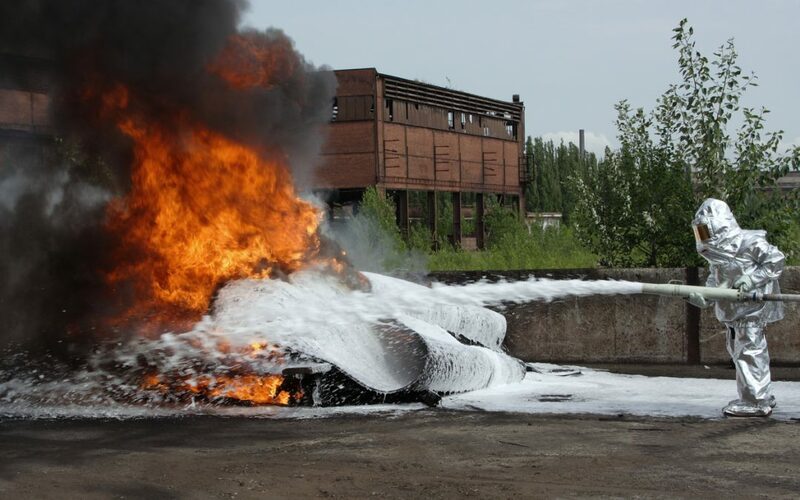 Just a few days ago, the PFOS (perfluooctanesulfonic acid) and PFOA (perfluorooctanoic acid) contamination litigation hit Massachusetts, as a group of Cape Cod residents filed a class action lawsuit against 3M, Chemguard, and Tyco Fire Products in which they claimed that fir-suppressing foam manufactured by the companies contaminated the local soil and groundwater, causing damage to local property values and causing personal injury. PFOS and PFOA compounds (two types of PFAs) were first used in products in the 1940s and 1950s, and were used in consumer products for decades ranging from teflon-coated cooking equipment, Gortex products, stain resistant products, and pizza boxes (to name only a few). In 2000, the Environmental Protection Agency (EPA) began focusing on the potential health hazards to humans from PFAs, ranging severity from cancers to elevated levels of cholesterol. By 2015, PFOS and PFOA substances were phased out by many manufacturers in consumer products amid pressure from the EPA. The chemicals were also critical components for fire-suppressing foam for fighting jet fuel fires, and it is that foam that is at issue in the Hyannis case. The class action lawsuit alleges that the companies supplied a fire-suppressing foam that contained PFOS and PFOA that the companies knew for decades could cause injury to humans. More specifically, the plaintiffs allege that the fire-suppressing foam utilized during training exercises at the Barnstable Fire Training Academy and Barnstable Municipal Airport contaminated the local drinking water in Hyanis, which led to thyroid disease, high cholesterol, high blood pressure, and reduced property values for homes and commercial facilities (including the local mall, the local hospital, and local school) supported by the drinking wells. The lawsuit is similar to two other recently filed lawsuits in Massachusetts, one filed in Barnstable County on Cape Cod, and the other filed in the western Massachusetts city of Westfield. Both were filed by the local municipalities against the manufacturers for coverage of the costs of cleanup associated with the PFA contamination. The current lawsuit differs in that it alleges personal injury to specific plaintiffs. CMBG3 Law LLC has represented clients in toxic torts and environmental contamination matters for many years. We provide the most current legal advice to our clients by staying on top of developments in science, medicine, and regulations regarding a wide variety of substances and products used by consumers every day. If you have any questions or would like more information, please contact John Gardella (email him or 617-279-8200).